I was really pleased with how clean the hotel/room/pool was.the food was faultless and I am normally quite fussy with my food so that speaks volumes! The location was great and I had a sea view. Hotel staff were friendly and helpful. Visiting the beaches either side of the hotel is a must. They are very clean and lovely water. We stayed here with my sister and husband it is a lovely hotel. You couldn't fault the food there was something for every 1. The location not that bad but wouldn't recommend it to any one who's not to good on their feet. I would defo go again. Although the TD is quite a way from the action it means that it is lovely and peaceful at night. It's a bit of a walk to the beach but the bus is easy to catch and it's downhill on the way there!! The room was quite big with a great view and balcony. We thought the food was of a good standard with lots of choice and we had no problems with the temperature. As our holiday was self booked we got a real bargain and had a lovely time. We plan to return! This is a nice hotel. Kept very clean, and it's staff are always friendly. Fresh towels are provided every day. The rooms are centrally heated and were we glad! Also worth a mention is that the heating consisted of a radiator, not that awful warm air which some places have. Plus we had control of it and not the hotel. It's location at the Poniente end of Benidorm, in the small resort of La Cala, is on a hill, so people with walking dificulties might have problems. La Cala is a quiet place and the few bars and cafes are welcoming and suitable for people who enjoy a quiet coffee. The local bus service into Benidorm is cheap and the service into town runs about every 15 minutes. A stroll along the front into Benidorm usually took us about 50 minutes. The weather was'nt very kind to us and it was cold and cloudy for most of the 10 nights we were there. About the standards of the food in the hotel. This is our second stay at this hotel. We were there for 7 nights in March 2004. We were so impressed with its overall standards and particularly the food, that this year we chose to return and we booked everything ourselves. In fact our choice to do this meant we were able to have 10 nights stay for what a tour operator was charging for 7, so that was a big bonus. In 2004, every evening the chef laid on an international buffet as well as the standard buffets. The choice was unbeatable. In fact one evening there was a Russian buffet, and the food was served with caviar. 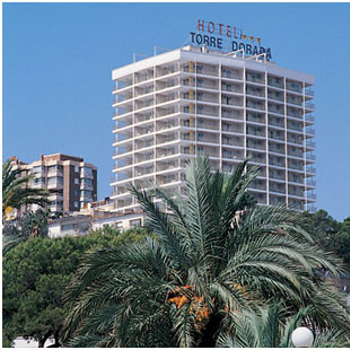 So we just had to go back as it was the best value for money hotel we had ever stayed at in Benidorm. Unfortunately, as I have written elsewhere, and we are not moaners, we are far from it, the food this time was very disappointing. We thought it was tasteless and quite bland. Granted it was possible to eat as much as we wanted, but nevertheless it did not compare with last years quality. These were comments which were shared by our fellow guests many of whom had stayed here previously. It's a shame because it had everything else going for it. Elsewhere I have written that I would not return here I have written "yes" but with ??? We will have to think about it and see what others write in their reviews. After booking this hotel we were happy with all the reviews we found but after staying there cannot understand any of them. The food is highly recommended but was awful! This is not just our opinion as everyone we spoke to said the same. Hot meals were lukewarm. The choice was poor and if you didn't like chips you were in big trouble (including the chips for breakfast!). The weather was poor which obviously the hotel can't do anything about but the "entertainment" in the hotel was none existent for anyone under 70. Our room whilst clean was extremely cold even with the radiator on full and keeping the room warm was impossible as the maid left the patio doors open each day! The hotel is nice especially if you get a seaview room, if you haven't then just ask reception - they'll put you on the list for the next available seaview at no extra cost. We did not realise that the hotel wasn't within reasonable walking distance of the town although the no 12 bus (to the new town) was regular and only 80cents and a cab back from town was never more than 6Euros. Unfortunately the first meal I had in the hotel contained an earwig type insect baked into the Spinach Lasagne - the restaurant manager didn't do much about this, just took the plate away, the hotel manager didn't even respond when I notified them using the Comments box in reception. I have to admit that although this initially put me off the rest of the food was very good, they have a vegetarian dish every day. The list of charges in the hotel rooms are very inaccurate - to keep your room until 18.00 on the day of departure costs 35Euros - a big difference to 18Euros stated on the price sheet - I also notified this to reception staff who just said they were 'winter prices'. After visiting the town during the day we realised we were lucky to choose a resort out of town - Levante and Pointiene beaches were absolutely packed, the beaches at La Cala were much cleaner and there was plenty more room. If you're going with Airtours don't even bother with the rep, Katie - she is most unhelpful. This hotel is just out side of Benidorm, there is a bus stop 200m away with regular bus service to the old town. The hotel is on a steep hill so not recommend for people with walking difficulties. There is a large reception area with a fountain in the middle and table and chairs. The rooms are lovely and clean with your towels being changed every day. The resturant is self service and the food is great. There is a large bar/lounge area with entertaiment on every evening which is not bad. There is a outdoor swimming pool we did not go in the pool has it was too cold to go in March, there is a children's play area at the back of the sun terraces,there are sunbeds has well. If you are after a relaxing holiday this is the one, I have been here 3 times now with my little boy and going again in March next year.